.. examining patterns of economic well-being among counties and regions … per capita personal income (PCPI) is the most comprehensive measure of individual economic well-being. PCPI estimates are developed/updated annually for counties, metros, states and the U.S. PCPI estimates, available as an annual time series 1969 through 2014, are developed as a part of the Regional Economic Information System (REIS). 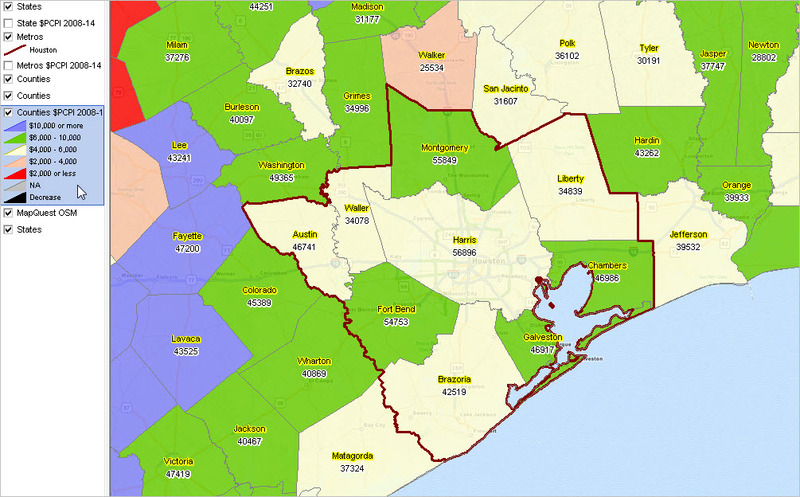 This section provides information on accessing and using the REIS data. See related Web section for more detail and data access tools. • See this section to learn about making custom metro maps. A distinguishing characteristic of the REIS data is that they are a set of multi-sourced data organized and used to estimate personal income. Personal income, unlike money income, is income received by all persons from all sources. A second characteristic is, unlike the American Community Survey (ACS), the REIS data are not based on a sample survey but rather employer-based data and other administrative data. Third, the lengthy annual time series lends itself to use in modeling and trend analysis based on a set of consistently defined subject matter. 1. 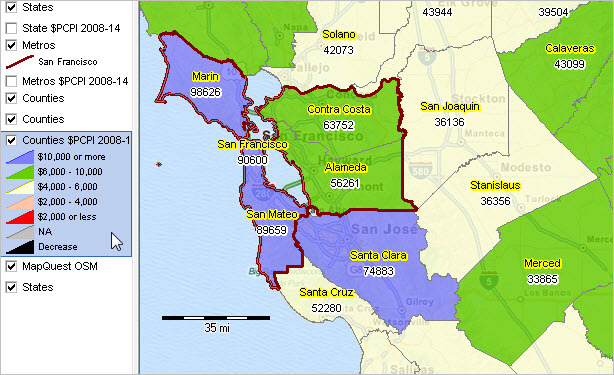 Use the interactive table to examine characteristics of counties, metros and states. View/rank/compare per capita personal income over time. 2. Use the metro demographic-economic profiles. Examine REIS-based personal income components in context with other subject matter. Select/view any metro via interactive table. 3. Use the REIS datasets made available as a part of the ProximityOne Data Services Program (PDS). 4. Create thematic pattern maps & perform geospatial analysis of REIS data in ready-to-use GIS projects. 5. Use ProximityOne modeling tools to forecast personal income components; assess impact of change on your interests. The following graphics illustrate use of the REIS GIS Project (details in Web section). These views show the change in per capita personal income during the period 2008 to 2014. The underlying datasets provide annual data in most cases from 1969 through 2014. Analyze patterns for only one/any selected/ year, change or percent change over time (an average of years or selected point in time). 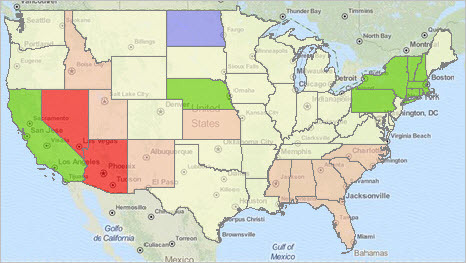 Zoom into regions of interest, set alternative pattern views, flexibly use labels, add data from other sources. See this section to learn about making custom metro maps. Use of the interactive table is illustrated in the graphic below. 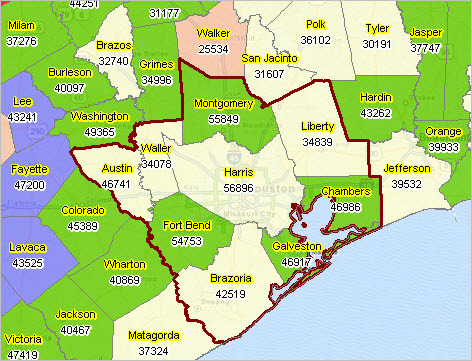 The GeoType feature is used to select only counties. The table is then sorted in descending order on 2014 $PCPI. Use the main Web section interactive table to examine areas of interest. Join me in a Data Analytics Lab session to discuss use of these data using analytical tools and methods applied to your situation. This entry was posted in CA San Francisco, Counties, Geographic Information Systems, Maps, Metropolitan Statistical Area, Micropolitan Statistical Area, Trends, TX Harris County, TX Houston and tagged Bureau of Economic Analysis, CV XE GIS, data analytics, economic well being, GIS, Houston per capita personal income trends, metropolitan area patterns, pcpi, per capita personal income, personal income, Regional Economic Information System, REIS, San Francisco per capita personal income trends. Bookmark the permalink.